Myanmar forces are conducting new “clearance operations” in violence-wracked northern Rakhine state following two separate attacks on ethnic Rakhine Buddhists, while ongoing fighting between an ethnic armed group and government troops continues to drive hundreds of villagers from their homes in other areas. 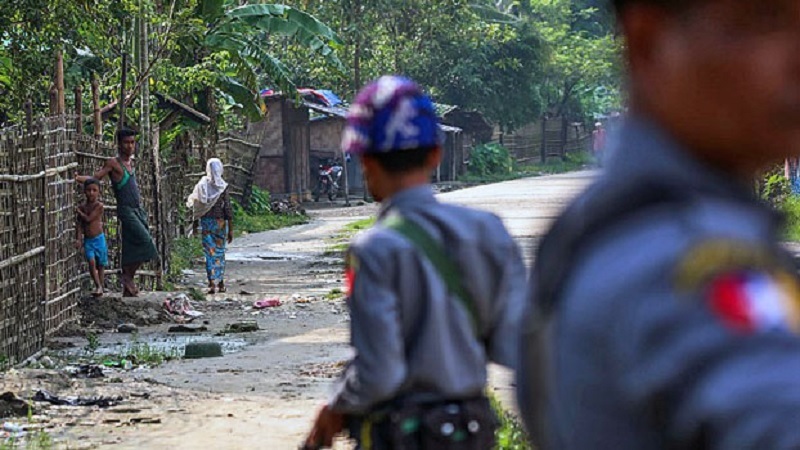 Security forces are conducting the operations along Pyu Ma creek after six unidentified men attacked and abducted two ethnic Maramagyi men from Kyein Chaung (Middle) village in northern Rakhine Maungdaw district as they were fishing on Monday evening, Myanmar’s commander-in-chief’s office said in an online statement issued Thursday. The six men who spoke Bengali and arrived by boat took the pair to the creek’s west bank and attacked them. 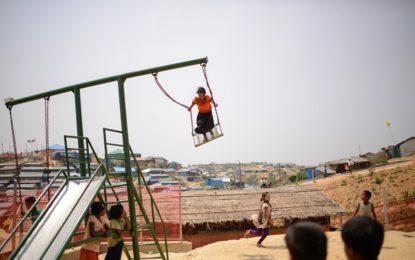 Maung Tha Hla, who sustained five knife wounds, and Saw Tun Oo, who was covered in bruises, managed to escape to Upper Pyu Ma, a Rakhine village on the opposite bank of the creek, the statement said. As the village administrator and several residents arrived to help them, the attackers fled along the creek to the Nat River, it said. In a separate case, two ethnic Rakhine men were found dead with their throats slashed on the bank of Pyu Ma creek less than 5,000 feet from the north of Upper Pyu Ma, an ethnic Rakhine village, after they went fishing on Monday evening. When the two men — Maung Tun Aye from Upper Pyu Ma village in Maungdaw township and Maung Maung Than from Ohn Chaung village in Rathedaung township — did not return, security forces, village administrators, and residents searched for them and found them dead, the statement said. 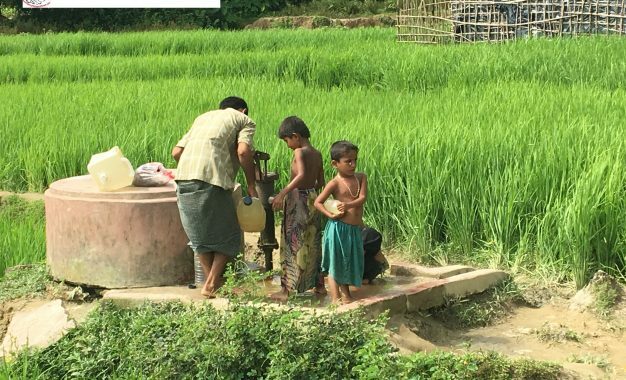 And on Dec. 16, a teenage girl from Maungdaw’s Thit Taw village was found dead with her throat slit about two miles away after she went missing the previous day while tending cattle, the online journal The Irrawaddy reported.